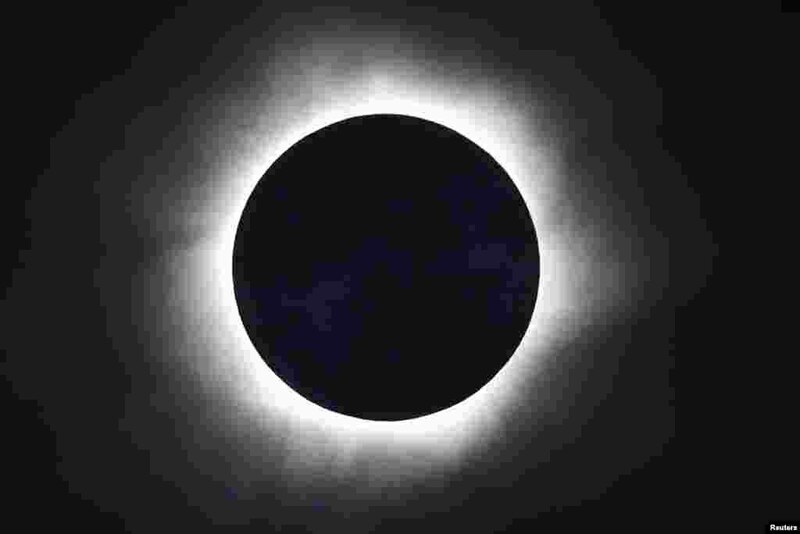 1 A total solar eclipse is seen from the beach of Ternate island, Indonesia. 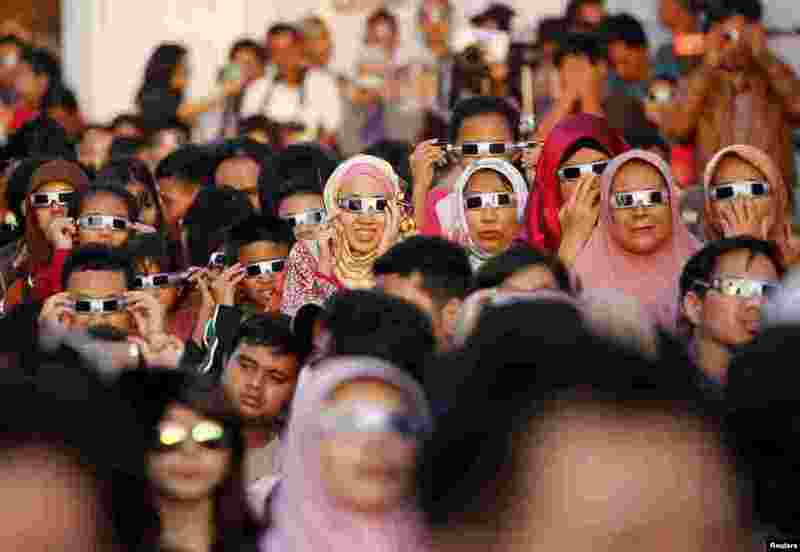 2 People watch a solar eclipse outside the planetarium in Jakarta, Indonesia. 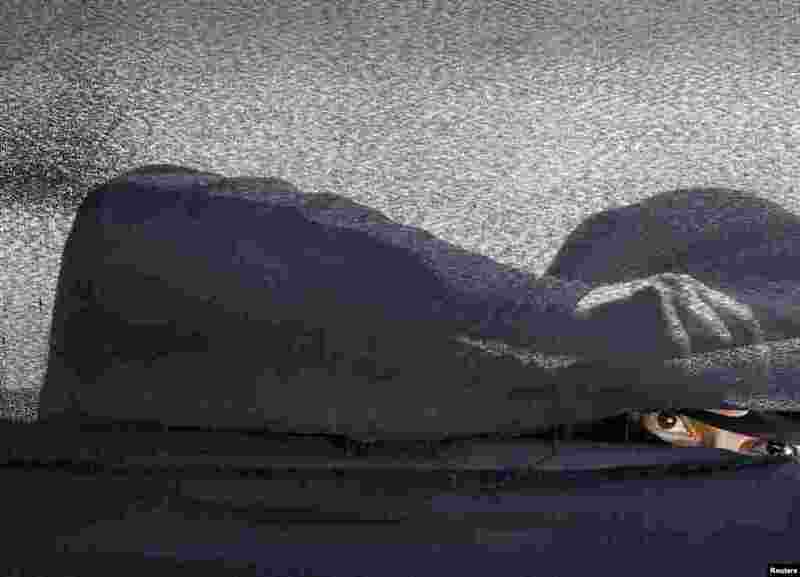 3 A woman looks through a tent during a gathering by Houthi loyalists against Saudi-led air strikes in Yemen's capital Sana'a.